“Having battled with testicular cancer less than two years ago, it is a cause close to my heart. 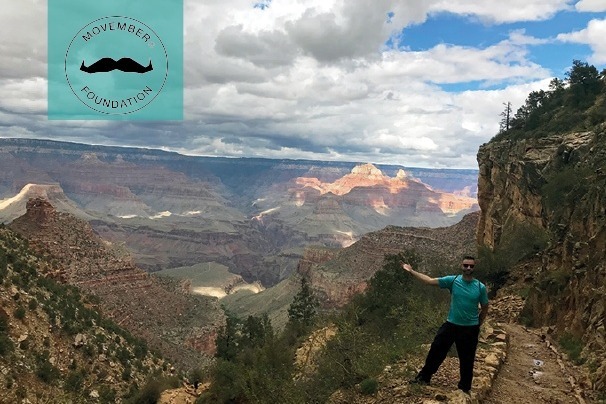 I have chosen the Movember Foundation because of its drive to increase education and awareness about men's health issues, such as prostate cancer, men's suicide and testicular cancer, which is the most common cancer in males ages 15-34. Fighting this particular disease, which affects a demographic that is young and feels invincible, is an uphill battle. The Foundation raises funds to deliver innovative, breakthrough research and support programs that enable men to live happier, healthier, and longer lives. Awareness and fundraising activities are run all year round by the Foundation, with the annual Movember campaign being globally recognized for its fun, disruptive approach to fundraising, and getting men to take action for their health. My recent experience has given me a first-hand understanding of the importance of ‘raising awareness’ and the real significance of ‘early detection’, no matter what kind of illness you are faced with. If something doesn’t seem right, get in straight away and get checked out. Next month could be a lot worse or even too late! Your donations and support are much appreciated.